Life expectancy of Delhiites will be up by nearly three years if the target of the National Clean Air Programme to improve air quality by 20 to 30 per cent in the next five years is fulfilled, according to a new study. Union Environment Minister Harsh Vardhan on January 10 launched the much-awaited National Clean Air Programme to improve air quality by 20 to 30 per cent in the next five years with 2017 as the base year. The 102 cities singled out by the NCAP have higher pollution levels than the national average, so they stand to gain more if they follow through with their pollution reduction action plans, according to a study by Air Quality Life Index report on the 'Potential Benefits of India's War Against Pollution'. "If all of the 102 cities reduced particulate pollution by 25 per cent, their aggregate annual average PM2.5 exposure would be 14 g/m lower than 2016 levels. This would translate to an average gain in life expectancy of 1.4 years," the report said. Among the 102 cities, a 25 per cent pollution reduction would translate to a 2-3 year gain in life expectancy for the residents of 13 cities in Uttar Pradesh, two in Bihar, and Delhi, the report said. 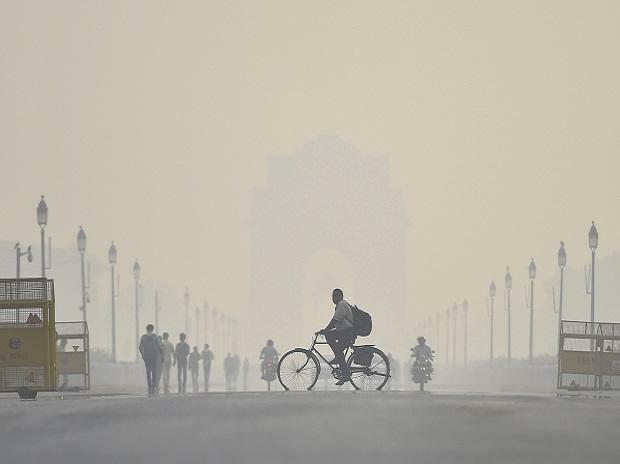 "In Delhi, reducing the annual average PM2.5 by 25 per cent, or 29 g/m, would translate to a gain in life expectancy of roughly 2.8 years for the average resident," the report added. "The payoffs from the successful implementation of NCAP could be substantial, with people in the most polluted areas - like Delhi - living almost three years longer," said Michael Greenstone, a professor, who created the Index along with his colleagues at the Energy Policy Institute at the University of Chicago (EPIC). "For this reason, NCAP has the potential to become a historic and watershed moment in Indian environmental policy," he added.